Use the interface and click “Tickets” on the left side. 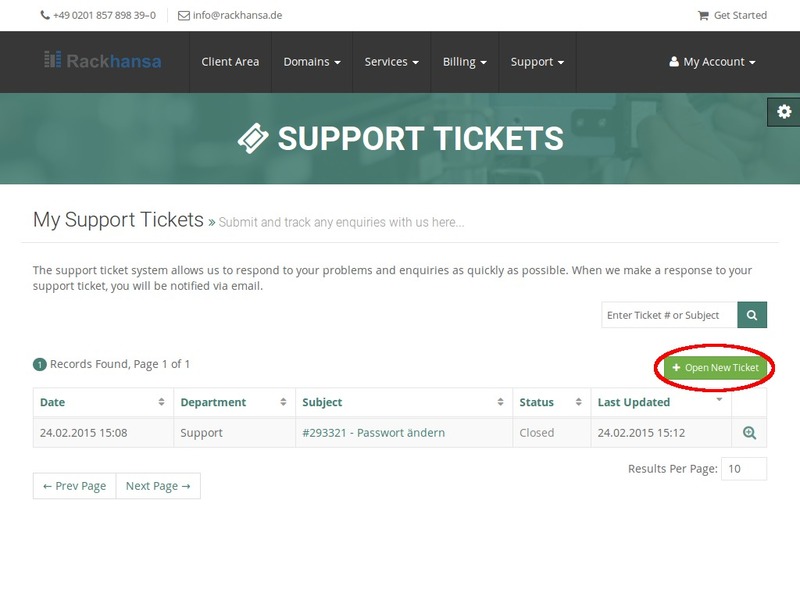 Now You can view all your open supporttickets and are able to create additional ones. You get an overview of all your questions to the Rackhansa Support Team. If You click on an issue/ID, it opens up with all details. 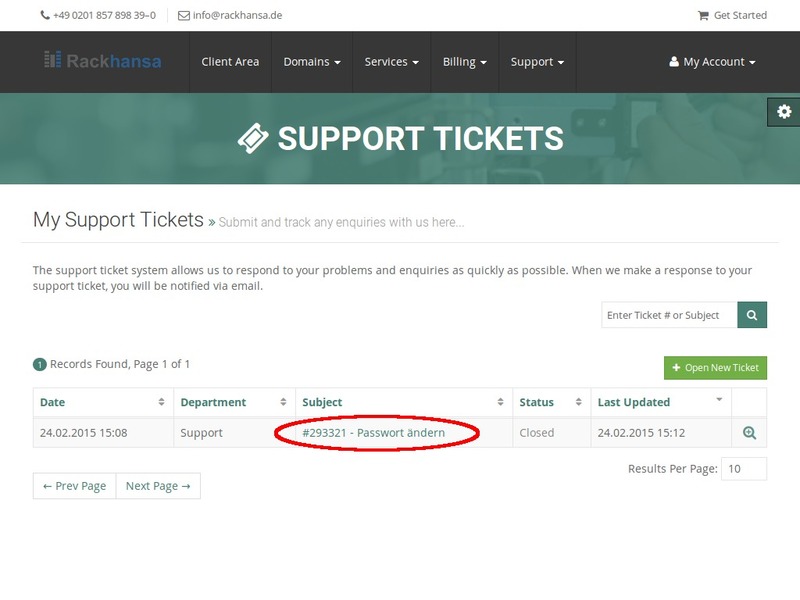 You can submit a supportticket in the client login area or also in the overview of supporttickets. 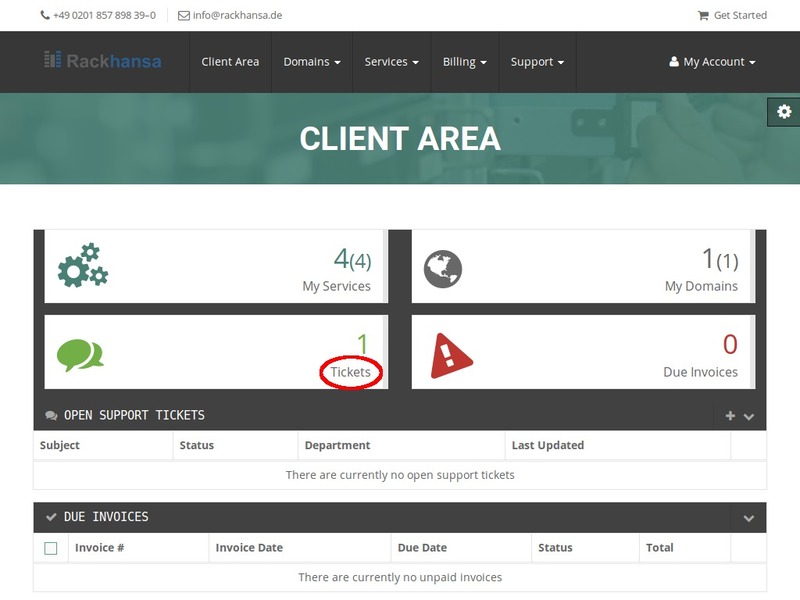 All You have to do is to click on the green button “Open New Ticket”. Your request will be classified into appropriate departments to be directed as fast as possible to the responsible staff member.